Successfully Added VKWorld Discovery S1 3D Smartphone - Naked Eye 5.5 Inch 3D Screen, Android 5.1, Quad Core CPU, 2GB RAM, 4G, Dual SIM (RoseGold) to your Shopping Cart. The VKWorld Discovery S1 is certain to stand out from the crowd as it's the only full HD cell phone with a special Naked Eye 3D screen. This flagship killer Smartphone known as the Discovery S1 comes from VKWorld and incorporates some truly stunning tech, namely a 3D screen that you don't need glasses to enjoy. With 3D corning Gorilla glass and IPS technology the screen looks truly gorgeous and has a vide viewing angle. With a rich resolution that boasts 400pixles per inch and a 3D component the images literally jump from the screen. This will make watching movies or playing the latest 3D games a fully immersive experience that will transcend what’s previously been possible on smart phones and set new highs for the mobile handset. To make the most of that screen you need to have a solid performance and with an MTK quad core chipset that features a Mali T760 GPU and is supported by 2GB of RAM you won’t be disappointed. This silky smooth performance is further enhanced with the Android 5.1 OS that brings precise management and task handling to the equations letting the Discover S1 shine. Two micro SIM card slots in the Discover S1 bring the best cellular connectivity and lightning quick download speeds can be achieved through the 4G connectivity, this is more than enough to steam HD content direct to the phone and is on a par or better than most broadband speeds. The Android 5.1 OS brings an enjoyable GUI for easy navigation and with additions such as smart wake and gesture sensing you can enjoy simply shortcuts to your favorite apps as well as control aspects of the phone without even touching it. 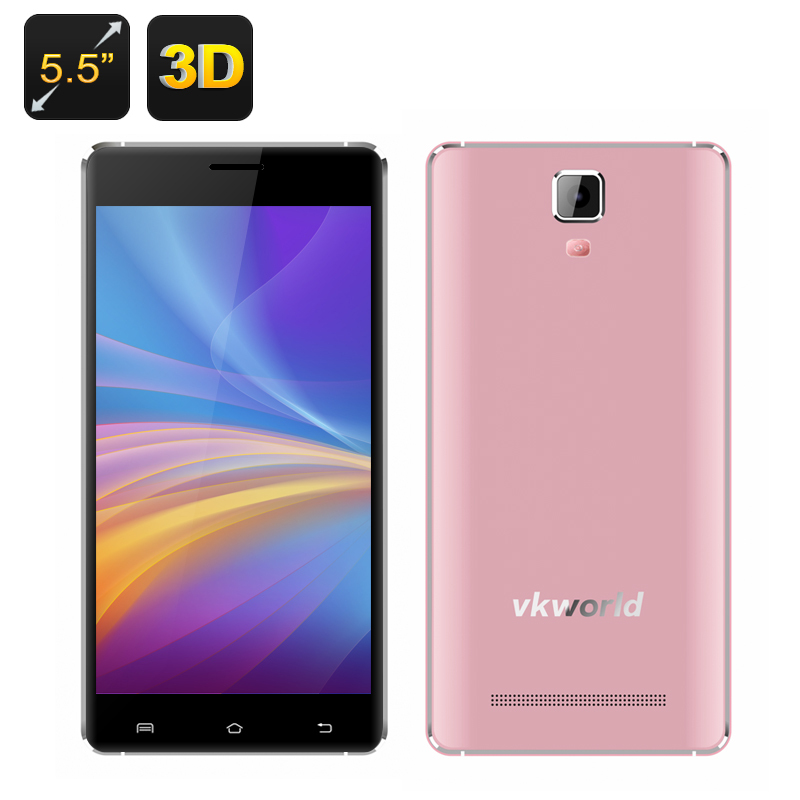 The VKworld Discovery S1 3D Smartphone comes with a 12 months warranty. Brought to you by the leader in electronic devices as well as wholesale Android Phones..